A great performance from Ciarán Carthy (St. Michael’s) saw him come away with three gold medals from the Leinster Schools Championships on Saturday, with victories in the 400m; 400m hurdles and relay. After completing the 400m hurdles, one of the toughest races in athletics, he had to come out a few hours later for the 400m, where he had a great battle with Ciaran McManus (St. Aidan’s), but such is his competitive nature he would not be denied, in a titanic struggle all the way to the finish line. It was one of the great sights of the day to see Liam Jenkins (Oatlands) soar over 1.86 in the high jump for a new P.B. Liam seems destined (pardon the pun) for higher achievements. 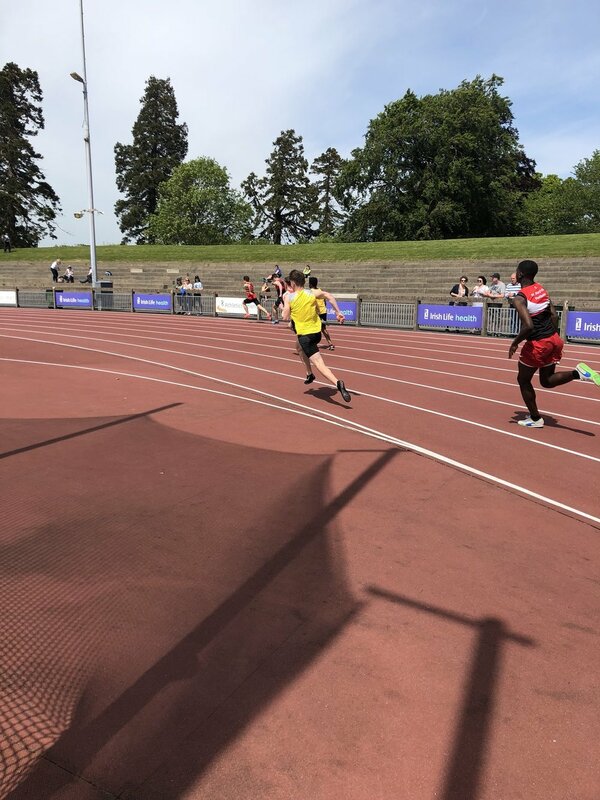 Other D.S.D., athletes in great form included Aaron Donnelly (St. Gerard’s) beating the national U.19 steeplechase champion, Eoghan Keaney, leading all the way with impressive fluent style over the barriers. Hannah Murray (Wesley) had a great win in the Junior 80m hurdles. Niamh Gowing (Mt. Anville) dug deep to finish 2nd in the Senior Girls 400m, with a new P.B of 56.46. 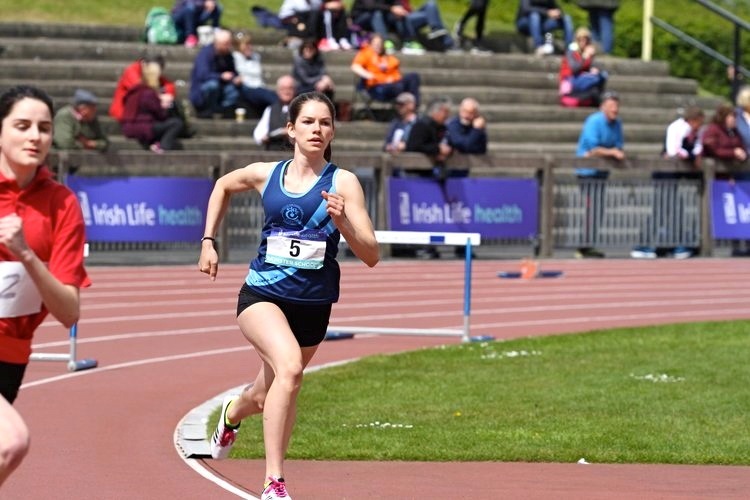 Laura Gallagher, Alexander College, who is underage again next year, showed her quality in the 80m hurdles and 300m hurdles, where she was just pipped on the line by the defending champion, winning silver in both. Molly Hourihan was 2nd in the Senior Girls 400m Hurdles, with Aimee Kenna (St. Mac Dara’s) also taking silver in the Inter Girls 800m. Another to shine was Gavin Doran (CBC) with a brace of bronze medals in the Inter 100m and 200m. Patrick Tucker (St. Michael’s) took bronze in a very competitive Inter 400m, and also anchored the St. Michael’s relay team to gold. 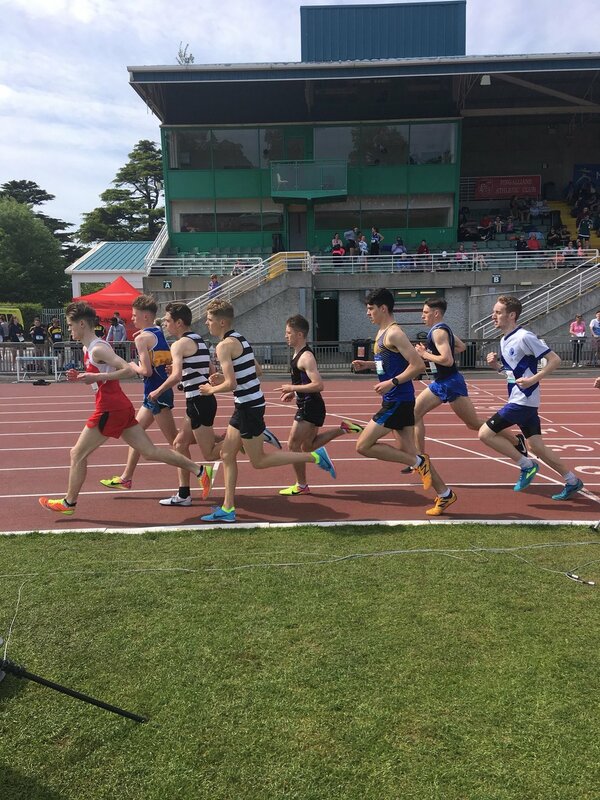 Others to impress winning bronze medals; James Holden (St Mary's) Senior Boys 200m; Brian Maguire (St. Benildus) Senior Boys 1500m; Niamh Carey (Colaiste Iosagáin) Senior Girls 3000m; Charlotte Burke (Holy Child Killiney) Inter Girls 300m; Ben Jones (Pres. Bray) Inter Boys 800m; Emma Ryan (Dalkey) Sen. 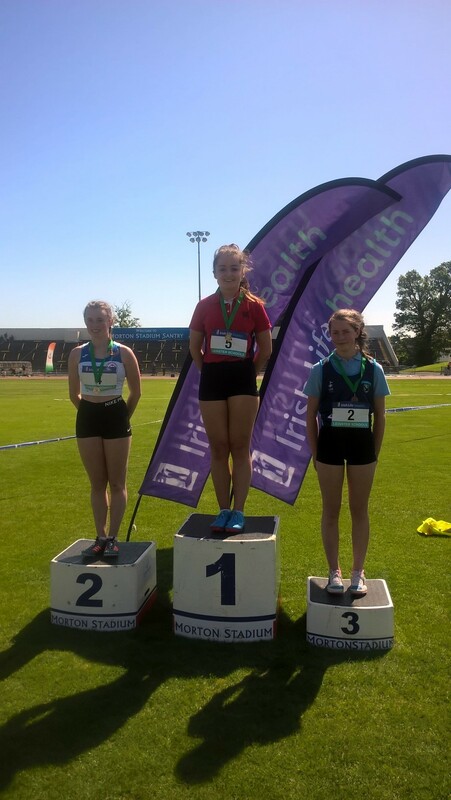 Girls 1500m; Cian Dunne (St. Colmcille's) Inter Boys 100m H; Roisin Healy (Rathdown) Inter Girls Long Jump; Eimear Maher (Mt. Anville) Junior Girls 1500m; David Bosch (Wesley) Junior Boys hurdles; Rebecca Lynch (Mt. Anville) Minor Girls 100m; Ellie Dunphy (Beaufort) Minor Girls High Jump; Jamie Byrne (Wesley); Minor Boys High Jump, and Adam Harvey 4th (Blackrock College) and Jack Moraghan (Clonkeen) Inter. Boy 800m. Jill Rufli (Alexander College) won gold in the U.16 girls Long Jump, with Cara Murphy (Alexander) 3rd U.16 Girls 200m.